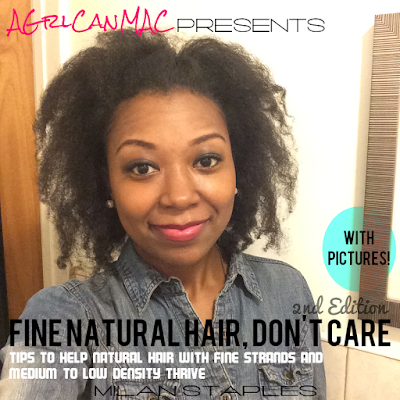 Don't forget, the Natural Care for Curls & Kinks giveaway is still open. It ends this Tuesday at midnight. Enter for a chance to win $75 worth of beauty products. Learn how HERE. Happy Monday. I hope that you all had great weekends. The weather was fabulous here in NY, finally! After you've checked out and entered the Natural Care for Curls & Kinks giveaway, here's another giveaway I'm throwing into the mix. Sheena LaShay recently started hosting intimate crafting parties at her place named Crafts & Cupcakes. They instantly were a hit and now she is doing it on a bigger scale at the lovely Shell's Brooklyn Loft next Saturday, 5/11, from 12 noon to 4pm. As the title suggests, you nosh on yummy sweets including cupcakes from vegan and gluten free bakery, Sterling Sweets, and indulge in arts & crafts. In the past we have made body scrubs, art journal pages and used Sharpies to customized plain mugs. I've attended every one since its inception and this time when she's doing it outside of her home and in a fabulous studio, I will be out of town! Still wanting to show my support, I bought a ticket and am going to give it away to a lucky reader! So if you love arts & crafts, noshing on good food and sweets and meeting other awesome women, read below how to enter. - Visit Sheena's website, www.sheenalashay.com, and share one post in the comments that you liked from her site and why. - Must live in the greater New York City area or close enough to NYC so that you can attend. - Your entry can only be used for you. Should you win, your name will be on the list/ticket and ID's will be checked at the event so if someone else goes in your place, they will NOT be let in. - Entries must be submitted in the comments section by Thursday, 5/9 at Midnight (time was extended from Monday, 5/6). A winner will be randomly selected and announced on Friday, 5/10. Click HERE to purchase tickets, learn more about the event and what cool things you will be creating. I saw in fine print that if you can provide a snack that will feed at least 25 people or you can commit to providing an art supply for the entire group, your ticket can be discounted 100%. Learn more HERE (this note can be found towards the very bottom of the page just above the video). this craft event sounds great but i don't live in nyc. good luck everyone!